Preheat oven to 375°F. Heat olive oil in a large skillet. 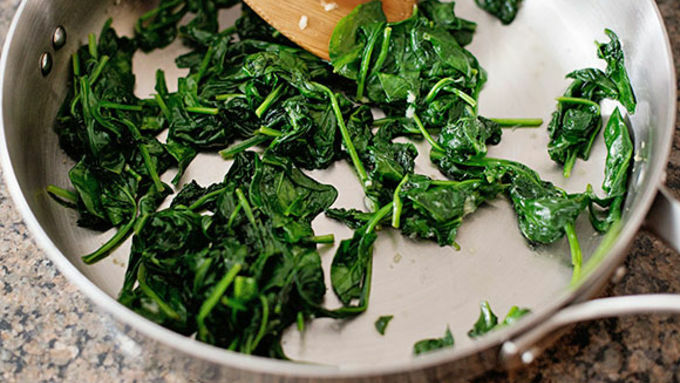 Add spinach, and cook until wilted, about 3 minutes. Add garlic and remove from heat. Chop and set aside. 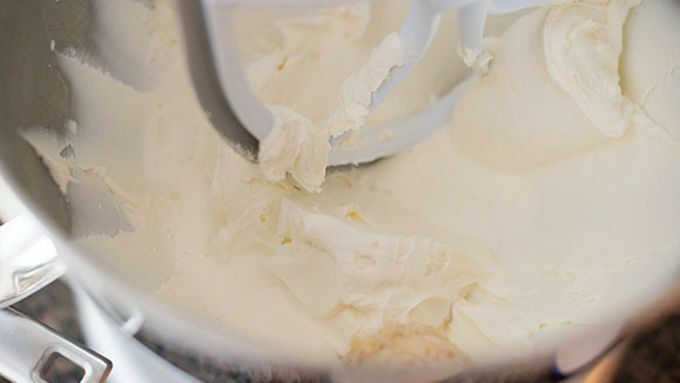 Using an electric mixer, beat cream cheese, half-and-half, and horseradish until smooth. 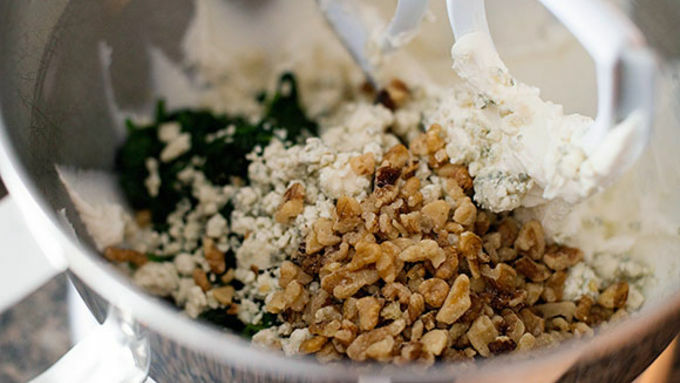 Add blue cheese, walnuts, spinach, and bacon. Mix until combined. Add hot sauce and pepper. Spray a 9-inch pie plate with cooking spray. Add cream cheese mixture. Bake for 15 to 20 minutes, or until golden brown and hot all the way through. Garnish with chopped chives. I love hosting the yearly Super Bowl party at my house. I can't tell you what team is playing, or who their quarterback is – I don’t usually even watch more than the halftime show. I'm in it entirely for the snacks! For some reason, beer is colder, cheese is meltier, chili is tastier, and snacks are all-around better on Super Bowl Sunday. It is a phenomenon I don’t even begin to comprehend; I just embrace this fact and open my house to football fanatics who bring yummy things to eat. 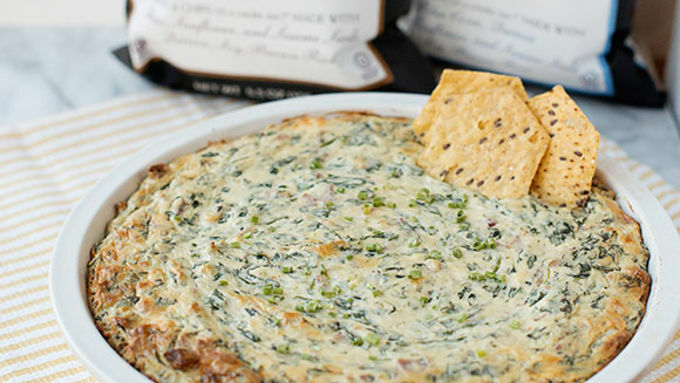 One of the most requested items at my Super Bowl party is this Blue Cheese Bacon Spinach Dip. The inspiration? The steak house. Basically, everything that I love that comes on or next to a steak, minus the steak. Spinach. Horseradish. Blue Cheese. Bacon. Hot Sauce. You with me? Bake in a preheated 375-degree oven until golden brown and hot all the way through. 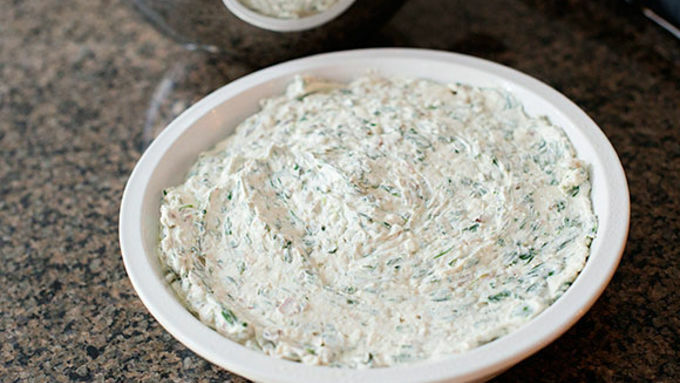 Garnish with chopped chives, and serve with chips or crackers. 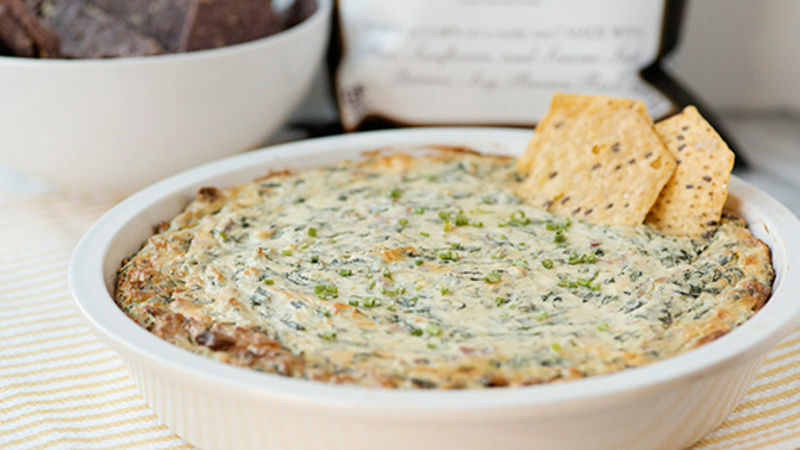 Regardless of who you’re cheering for, this dip is a winner!